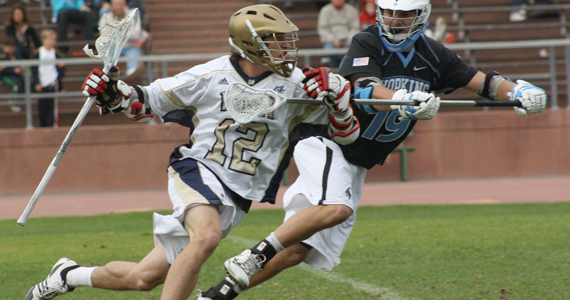 Part two of Clu’s college lacrosse championship tournament breakdown. 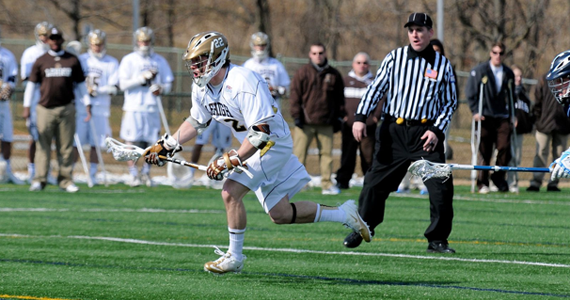 As promised, I am back for my 2nd installment of the 2012 Mens NCAA lacrosse championships. This time I am going to be breaking down all of the sunday matchups. Brace yourselves, as there will be some big time programs going up against one another! Enjoy. When: Sunday, May 13, 1PM. 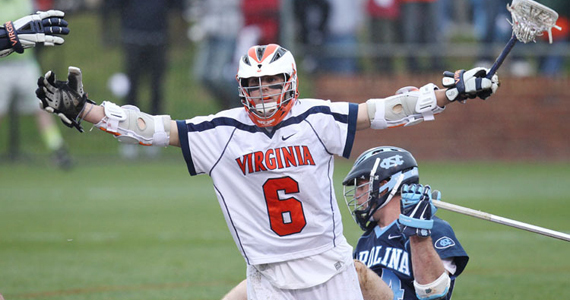 Klockner Stadium , Charlottesville, Va.
You want to talk about two historic lacrosse programs? Well look no further! Princeton and Virginia are two of the top teams in the nation. The Tigers have been pushing their weight around in the tournament for five of the last seven years, but have failed to do anything with their recent string of tournament appearances. They look for their seventh national championship, and their first since 2001. The Tigers’ hopes might fall on how well they can win face offs against Virginia, and the performance of their top scorer, Tom Schreiber (30g,26a, 56 total points). The Cavaliers are the reigning 2011 National Champions and, again, year-in-and-year-out, always seem to find themselves competing for a national championship, or at least playing in the final four. Since 2005, they have been in the NCAA tournament six times, and it doesn’t look as if there is any stopping these Cavs. They will be touting a couple of high scorers in senior midfielder Colin Briggs and senior attacker Steele Stanwick (Jobu’s Note: WHAT A NAME! ), both of whom were named Tewaaraton finalists. When: Sunday, May 13, 3PM. Homewood Field , Baltimore, Md. If you’re looking for a David vs. Goliath matchup, look no further. 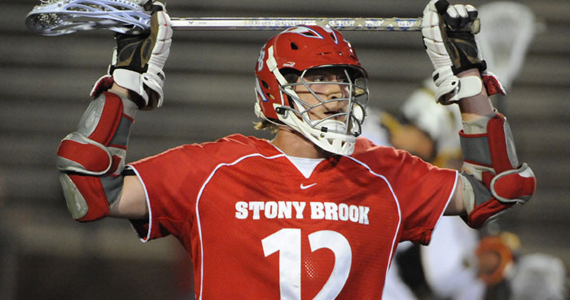 SUNY Stony Brook gets the automatic bid by upsetting two big time American East conference programs (Hartford and Albany), and boy, did they manhandle Albany by crushing them 14-8. Thanks to Junior Jeff Tundo, who scored four goals, and Sean Brady, who helped make eleven saves, the Stony Brook men’s lacrosse team won its third America East Championship. On the other side of the coin are the perennial powerhouse that is Johns Hopkins, who has been in the NCAA tournament a record 40 consecutive years (40!!) , and are looking for their first NCAA title since 2007. The Blue Jays look to seize the opportunity against the Seawolves (what is a seawolf, anyway? Last time I checked, there aren’t any wolves who live in the sea!). Will this be a warmup game for the Blue Jays, or do those Seawolves have some fight in ’em?? When: Sunday, May 13, 5:15PM. Arlotta Stadium, Notre Dame, Ind. Now here’s something that you do not see too often, especially in lacrosse: two Ivy League programs in the NCAA tournament. I will hand it to Yale, the Ivy league champs. The local boys from New Haven, CT definitely deserve their bid, after all they were able to beat a tough Cornell University team in the Ivy league tourney and then play Princeton tough on top of that. Obviously the NCAA committee saw how well they played and gave them a matchup where they might be able to surprise someone. They will take on University of Notre Dame, who just came off a tough loss in the Big East title game to the underdog Syracuse Orange. The Irish have been one of the top lacrosse programs in recent years, reaching the title game only a few short years ago, and have been competing year-in and year-out in the NCAA tournament. This year was no exception, as they were ranked near the top all season long. Unfortunately for them, they were just subdued by a hungry Orange team, who just wanted it more. Prediction:Not sure how well the Irish and the Bulldogs will match up, but I think Yale might have the upper hand here, as they have beaten some tough teams down the stretch. When: Sunday, May 13, 7:30PM. Ulrich Sports Complex, Bethlehem, PA. This game is a very big deal for Lehigh University, as they will be hosting the Terrapins of Maryland University in their first ever NCAA tournament appearance. It is such a big of a deal that all of the first round tickets were sold out within 24-hours of going on sale (the capacity for the Ulrich Sports Complex is about 2,000 for both seating and standing room). I Guess the only way the rest of the die-hard Mountain Hawk fans will be watching it is through ESPNU. Although they were the 2011 NCAA runner up, Maryland looks to be having an off year, and they come into this game as the underdog. How will the Terps match up against the Mountain Hawks, especially with an intense crowd who will for sure be making their voices heard? Prediction: Both teams have had some big wins in their respected conferences, but I have to give Lehigh the edge in this one. They seem to be playing more balanced lacrosse than Maryland going into this game. That’ll do it everyone! 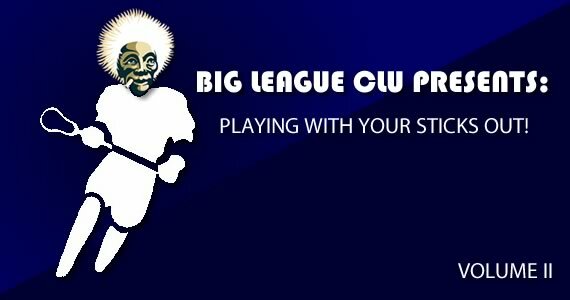 I hope you have enjoyed these college breakdowns, I am going to be taking a little bit of a break from college sports as commissioner Jobu has me working on some interesting new stuff… Stay tuned as you will find out what that might be soon enough! Don’t worry though, I will be back in August to break down the college football season yet again.